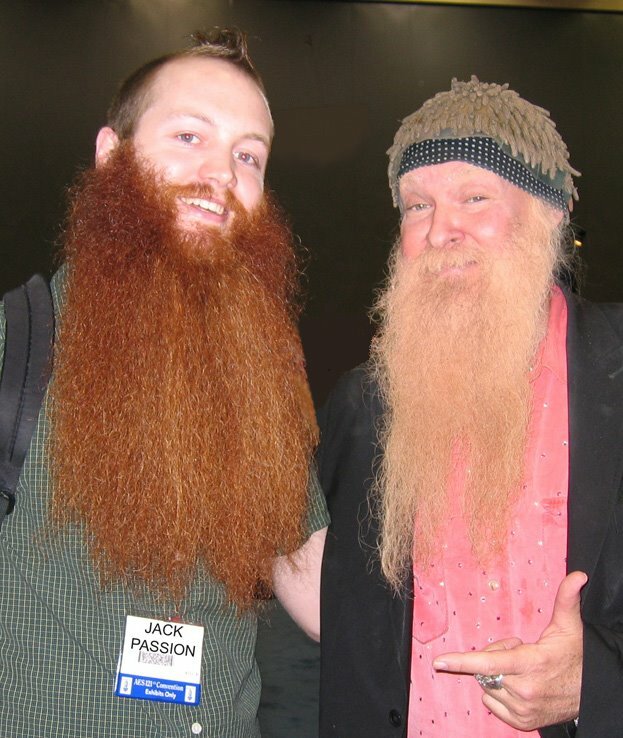 Those with long beards are used to having strangers approach them and ask, "Are you ZZ Top?" (As if ZZ Top were a person and as if the strangers were being original.) Well, guess who Jack met recently? Yes, that's Billy Gibbons from ZZ Top. Billy says strangers come up to him all the time and ask, "Are you Jack Passion?" phil-- congratulations. your blog is really taking off. Great post! Mr. Passion's beard is very impressive. How old is he, and how much time did it take him to grow his beard so long? I wonder because, as G.K. Chesterton said, "You cannot grow a beard in a moment of passion." Thanks for the Chesterton quote. Jack just turned 23. His beard just turned 3. @phil olsen. yer beard looks awesome! 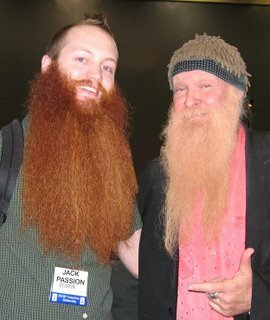 do you or jack passion have pics of yer beards at various stages of growth? if you do, i would love to see them! thanx and peace! i have only been growing my beard fer 3 months, and plan on more growth. I am kicking myself for not growing one sooner. I predict more beards will be grown in the USA. Mot Thai people -Asian to a further extent- don't have beards. Well done USA at last you can do something properley.